In the pursuit of more likes, more followers, more clicks and more conversions, blog owners are resorting to just about everything in order to boost awareness and engagement with their blogs and brands. Some tactics produce inherent value with respect to link building and traffic generation, while others fall flat on their face. With any effort made, there is a certain efficiency that must be considered – how much effort will it take and how much benefit will it create? As it turns out, old-fashioned grinding with the use of good content can go a long way toward bringing in the traffic you desire. Below, we’ll discuss prime strategies for building a blog post that will boost your traffic beyond the norms. The first step in producing content that will wow the masses is to put the content itself together. A blog post that generates tons of traffic must be quality in nature and provide some form of “catch” that goes above and beyond simple text. In many cases, bloggers resort to multimedia such as photos and video in order to provide this element. Perhaps you can work with a local photography company for free in exchange for free publicity for their brand. It all depends on the niche and topic of the blog post, but having a quality blog post with ample multimedia will ensure that readers and visual learners alike find your piece interesting. From here, it then becomes an act of promotion. The internet is so saturated with blogs and content providers at this point that no niche is uncontested. As such, you should be able to find several – if not dozens or hundreds – of other bloggers within your niche scattered across the internet. With a prime blog post in hand, begin contacting these individuals about the piece. You can narrow down the search by focusing on keywords that your blog post covers and looking for those blogs with the most influence in the niche. By pinging your blog post to these individuals and emphasizing the unique elements of multimedia in the post, you can find several individuals who will gladly share the post with their readers due to a common interest. It should be noted that this tactic can be worn out quickly when providing mediocre content, so be sure to be on your A-game when sharing content with other influencers. 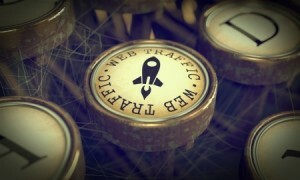 Last but not least, boosting traffic via a blog post must utilize social media efforts in order to be successful. The rate at which quality content can spread on social media is exponentially larger than it is through search engines or even email. If you have a real winner in terms of content, then utilizing both free and paid forms of social media exposure can work to your advantage. As with all things viral, the amount of sharing, commenting and clicking becomes exponential once it reaches a certain threshold of popularity; ensuring that it has the maximum chance of doing this is crucial to generating ideal traffic numbers. Inevitably, you will hit paydirt with pinging your blog posts, if you continue experimenting with quality content and varied forms of multimedia – with or without the email efforts. What Are Some Must-Have Elements for Earning More Links?